TOKYO (Reuters) -- Nissan Motor Co. today said an airbag made by Takata Corp. installed in one of its cars had deployed with too much force and caused a fire in a light crash in Japan, marking the automaker's first such case in the country. Nissan and several rivals have recalled millions of cars globally because of a defect making Takata-made inflators explode and spray shrapnel. Regulators have been unable to determine the cause but have linked the defect to eight deaths. The latest case involved the passenger-side inflator in an X-Trail SUV made in August 2001 and recalled in April 2013, a Nissan spokesman said. 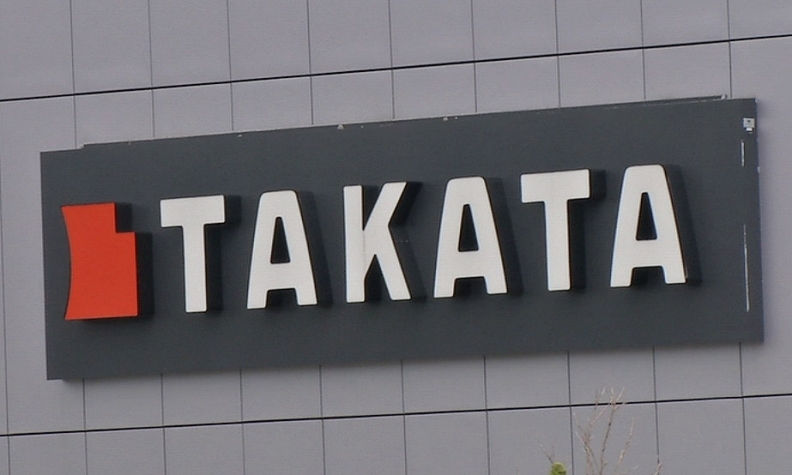 Takata said it made the inflator at its U.S. plant in Moses Lake, Wash. A spokeswoman said the manufacturer had received a report on the case from Nissan and was investigating. The Nissan spokesman said the car, carrying only the driver, was hit on the driver side. The inflator on the passenger side exploded, smashing the passenger-side window and sending high-temperature fragments into the dashboard, causing a fire. The driver's left cheek was lightly burned, though it was unclear if the injury was caused by the inflator exploding, the spokesman said. In Japan, the driver’s seat is on the right side of the car. The case is Nissan's first known abnormal deployment of a Takata inflator in Japan, and the fifth confirmed case in the country across automakers. Nissan said there have been nine similar cases involving its cars in the U.S.
Nissan has globally recalled 4.4 million cars equipped with Takata inflators. Of those, it recalled 813,000 in Japan and has so far serviced 85 percent. In the latest case, the recall notice did not reach the driver, the Nissan spokesman said. The automaker issued its latest Takata-related recall last month, when it expanded globally a recall in North America involving passenger-side airbags.